A modest breeze and overcast skies robbed Solas Big Boat Challenge bash of the Cruising Yacht Club of Australia around Sydney Harbour from some of its drama, this season, but the yearly event always gives a look at the squads that look to contend for Rolex Sydney Hobart Race which begins on 26th December. 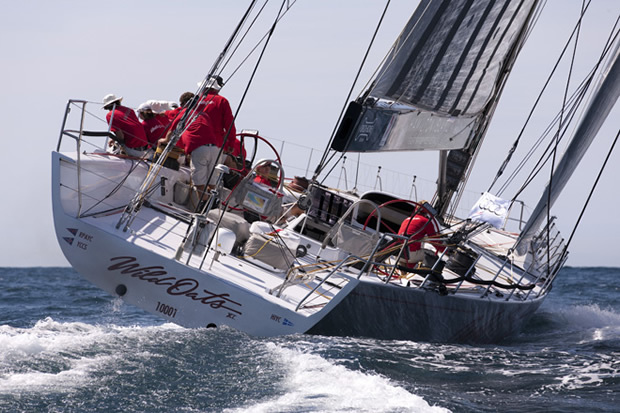 Today, the light winds and flat waters were made to order for elegant, slim as well as recently altered Wild Oats XI. Following a great start, Sandy and Bob’s super maxi drew away from the wider, bigger, more powerful hundred footers, Perpetual Loyal and Ragamuffin 100, on every leg of the fourteen nautical mile course, in a steady way.